Now that the temperatures have warmed to the balmy mid-twenties and the sun is shining a bit stronger day-by-day I’ve finally been able to get back to the shop and make some progress on long-delayed doors for a pair of free-standing cabinets. The cabinets themselves were installed back in November and are filled to the brim and in use already. I’m thankful for a patient client. I’ve made several doors and cabinet face frames using my Festool Domino and feel like I’m getting the speed and accuracy I had hoped for when I made the substantial investment in the tool. There was a surprising learning curve involved with the Domino; It’s a tool that magnifies operator error. I’ve found that eliminating variables yields more consistent results. Typically the tool rests on its base, not on the fence. I ignore the flip-stops — the folding bits that supposedly allow for easily replicated offset placements in favor of simply marking the plunge position of the initial mortise. Marking the centerline has to be included in the workflow. 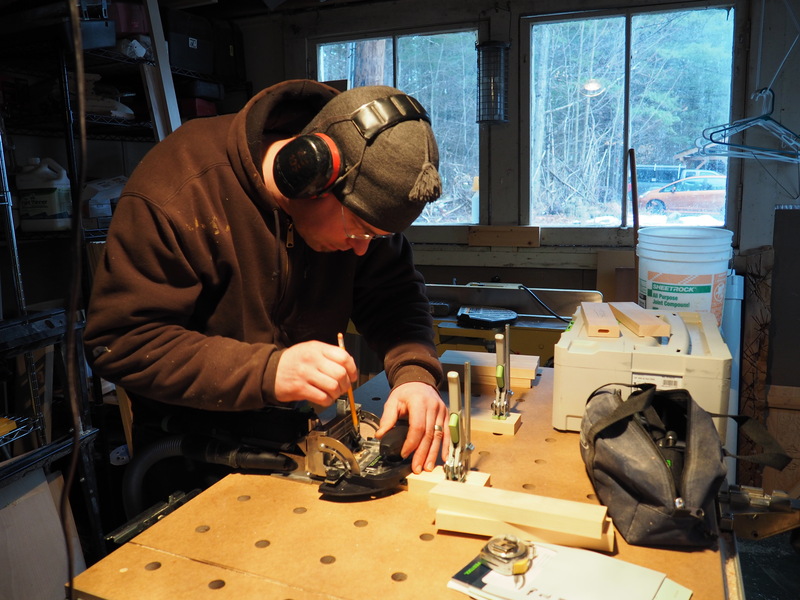 Here I’m using the face frame accessory to mortise the door rails. 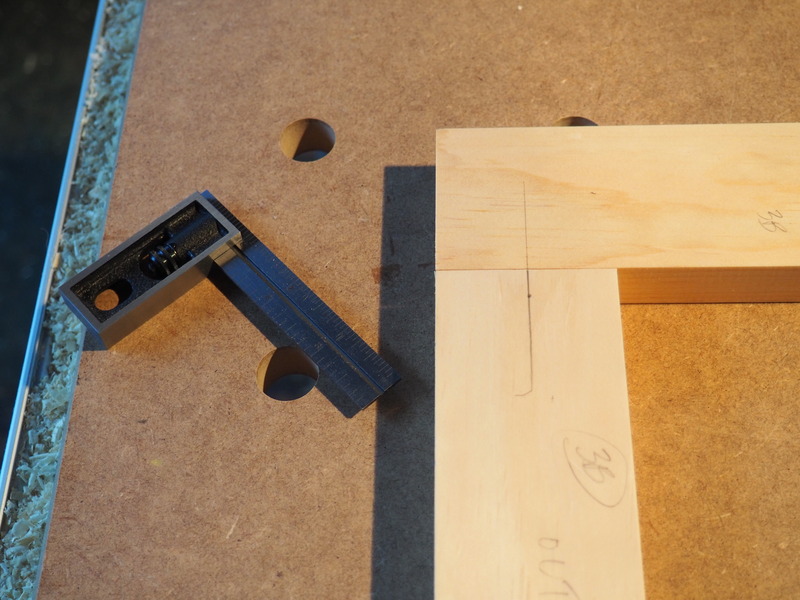 After setting the tool, and before plunging the cut, I mark through the alignment sight with a sharp pencil. The Domino alignment sight allows direct marking of the centerline. Manual alignment and transferring marks seems to work best for me. Carefully aligning the calibrated sight to a transferred mark is the easiest and most reliable method for precisely aligning the opposing mortise. I’m more comfortable making consistent, accurate pencil marks and carefully aligning the Domino than relying on the flip stops. I’ll likely remove them permanently from the tool. 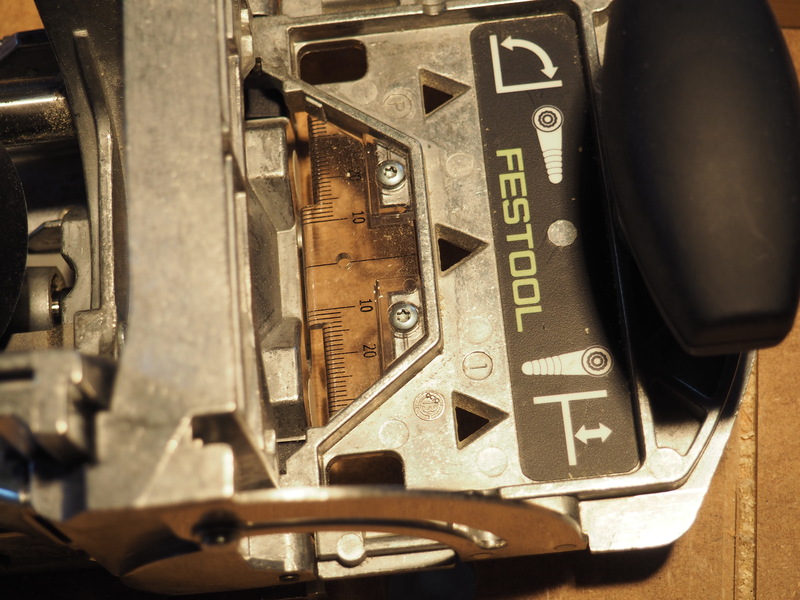 This entry was posted in Uncategorized and tagged Festool, recent work, tools on March 22, 2015 by Isaac Guenther.